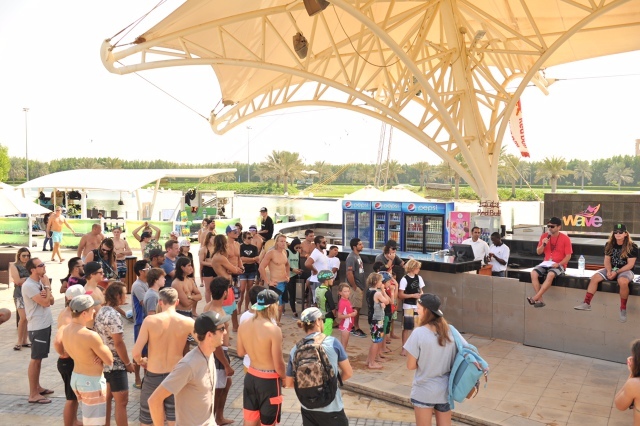 From Abu Dhabi, UAE (November 4th 2015) – The 2015 Wake Park World Championships held at Al Forsan International Sports Resort launched today and the perfect combination of park features, scenery, conditions, vibes and rider camaraderie, the world could not ask for anything more at the event. 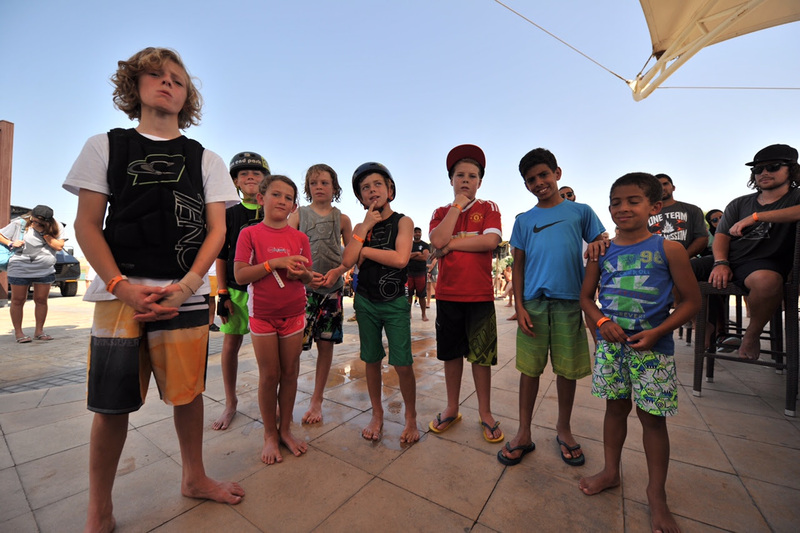 Riders of all ages and skill level showed everyone what it takes to continue their path toward becoming a WWA Wake Park World Champion. After only one day of competition, this year’s Wake Park World Championships is already becoming the biggest and best, with an enormous amount of representation spanning across six different continents. There are also brand new features for the competitors to hit at Al Forsan in their beautiful “swimming-pool-like” setting, which is very well protected from any possible wind. This incredible site provides nothing short of the world’s best riding location for everyone. Today was fully present with plenty of intense action, including riding from the following divisions: Women’s (19-29), Men’s (19-29), Master’s Women (30-39), Master’s Men (30-39), Veteran Men’s (40+), Jr. Boys (9-under), Girls (13-under), Boys (10-13), Jr. Women (14-18), and Jr. Men (14-18). From the Boy’s division, American rider Brett Powell was overheard saying “If it weren’t for all the other boys riding in this division together with me before the event, I wouldn’t be here today riding at the level that I am”. Brett Powell is here to defend his WWA Wake Park World title from last year, and his competition is even heavier and more competitive. One of the major highlights of day one was Master’s division rider Dmytro Massalov from Ukraine. Massalov posted the highest score of day with a perfect 100 points, gained from his run that included a heelside 720 off the kicker, a mix of technical flats tricks, and pressed out rail hits. Massalov was not the only one that showed his potential of becoming a world champion- local U.A.E. Jr. Men’s rider, Saeed Al Qubaisi, performed incredibly well within his extremely difficult heat of competitors. “I am so stoked to make it through such a very tough heat full of guys from all over the world”. Al Qubaisi has a great opportunity to become a World Champion as he is riding the best he ever has at the moment. By the time Friday comes, we will have all new World Champions across 20 different divisions. The weather was quite warm today, helping the riders to perform to their maximum potential, but the event will only continue to heat up more as the number of riders continues to shrink leading into semi final and final rounds. 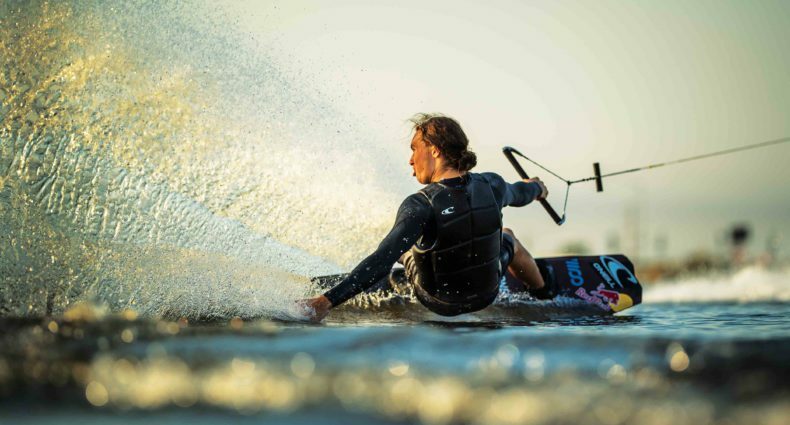 Al Forsan International Sports Resort will be utilizing both of their full size cables tomorrow, as Wakeskate will kick off on the smaller cable while more wakeboarding continues on the larger cable. Check back here each day for a recap of the day’s riding and full results.